Register Log In wirral forums Forums Wirral History Birkenhead Market. 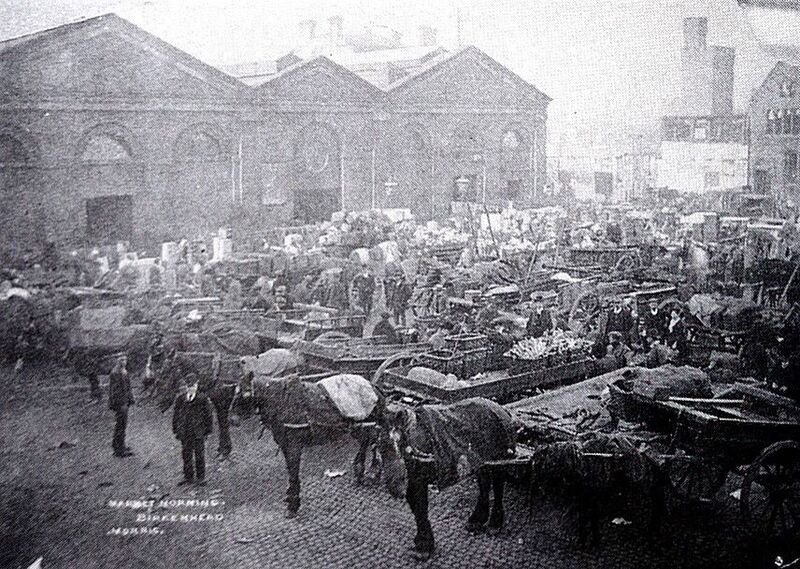 Would love to be able to zoom back for a day to see the old market in all its glory. I remember it on this site, but not of course as far back when horses appeared to draw the stalls into place. I still cant manage converting into a pic sorry - if someone fancies doing it please . I remember the night it went up in flames, I was working in Bowater's in Ellesmere Port and you could see the flames from the roof of the Mill. I drove past it in the morning, What a sad sight. I was taken there by my mother when I was very young sometime in the 30s at xmas. I remember rows of birds hanging up and outside stalls with hissing carbide lamps ,it was also the place where we went down the side to be issued with our gas masks in 39. Just for you Venice, the picture posted. I didn't realise that the frontage on the current market was a copy of the old market. Neither did I but as its half the height its nowhere near as impressive.